Wait, it’s not what you think. I mean, yes, discussions about drum samples usually end up with you looking through hundreds of sounds that you may or may not end up using, but let’s try to mitigate that (as much as possible, at least). I think the biggest problem with going through dubstep drum sample packs is the lack of intent. Often, we’re just surfing through sites, randomly listening to demos and hoping we come across that gem. We can’t help it either; the provided descriptions are often bland, ambiguous, and give off used-car-salesman vibes. Well, hopefully, this time is different. Let’s keep things short, yet informative, so you can stop wasting precious production time, and get to making some beats. 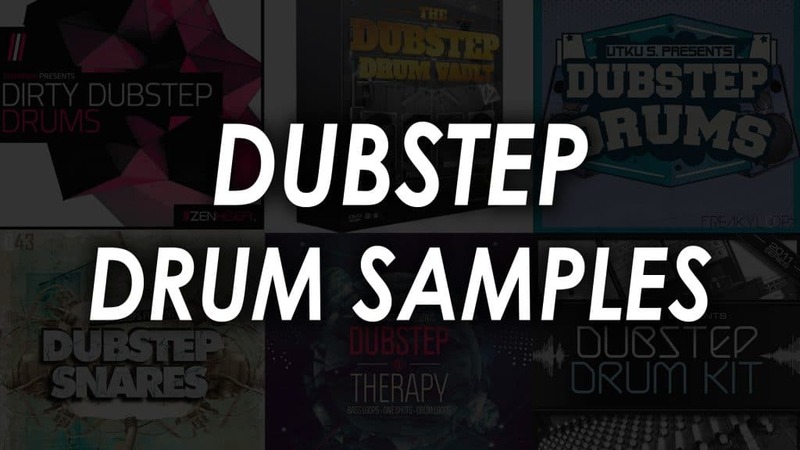 Below is a list of the dubstep drum samples we talk about in this article. Scroll down for more details or click to hear audio demos. If you’re looking for that signature dubstep sound that can be seamlessly loaded into any song, you’re going to be disappointed. However, if you’re looking for sharp, grungy, and crushed drums to put that stink face on your listeners, you’ve found the right pack. 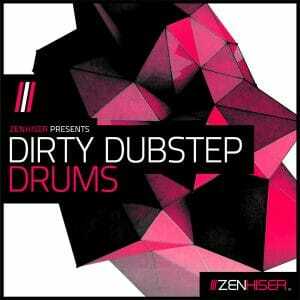 All jokes aside, Zenhiser’s Dubstep Drum Kit 01 provides over 300 quality drum samples for anyone looking for some dirty sounds to add to their arsenal. The kit, which includes an array of kicks, snares, claps, percussive hits, impacts, and risers, is provided in WAV format, to ensure the highest quality. Don’t get it twisted, you’re not going to be making any ballads with this dubstep drum pack, but if you’ve been searching for a pack with plenty of filth, Zenhiser has you covered. Head over to Loopmasters and check out the preview to see if this kit will suit your needs. Teaming up with Dan Larsson, this dubstep drum sample pack from Loopmasters provides hundreds of loops, hits, and kits. If you’re not a fan of using loops, then the provided sampler patches can be used to recreate the sound with your own personal touch. If you enjoyed the style of the aforementioned Dubstep Drum Kit 01, but are looking for a pack with more substance, then Dubstep Therapy is for you. There’s plenty of grime and filth if that’s your intent. 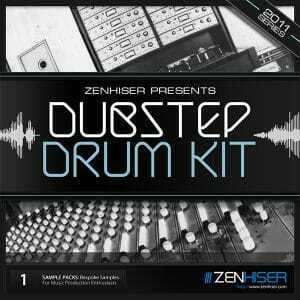 This kit is touted as the ultimate library for every dubstep producer – beginner to advanced. And we get that sentiment. Sometimes, advanced producers need something reliable that they can quickly reach for, whereas beginners need a quality framework that they can start from. We think this pack delivers to both of these requirements. On the flipside, advanced producers might consider these samples pretty “run-of-the-mill”. And with everything in loop form, you’re going to be spending time chopping up the samples if you want any customization. One-hits would be nice to eliminate this problem, and truthfully, the samples aren’t anything new. But, regarding sound quality, they’re great just nothing groundbreaking here. Another one from Zenhiser. The pack is pretty straightforward: loops and one-shots. No filler, no instrumental loops that you have no idea how you’ll use. Just the drums. And while they retain some of Zenhiser’s crushed and dirty style, there are some ‘cleaner’ options as well. That may be a good or bad thing, depending on your taste. 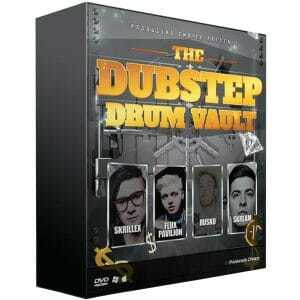 At the very least, you know exactly what you’ll be getting with the Dirty Dubstep Drums pack. When you dig into the pack, you’ll notice that everything is ordered by BPM (135 – 160 bpm) and organized into folders by “type”. You’ll find everything you need in this kit to craft a pro level production and the creators claim that “it’s the ultimate producers mixing pot for straight out the box beats”. This pack from Freaky Loops is unique from the others on our list in the fact that it is very straightforward – I mean, it’s just 200 snares. But the simplicity of these samples is their strong point. Freaky Loops put their resources into creating some unique, hard-hitting, and inspiring snare sounds, which are sure to stand out from other dubstep snares you hear in “the wild”. Another thing we love is that this sample pack can stretch beyond dubstep into genres like Drum n Bass, Glitch Hop, Electro-Breaks and much more. Though, it’s great to get those “perfect” sounds to fit the genre you’re passionate about, it’s also nice to have multi-functional samples that can work across many different genres or projects you might be working on. Regarding quality, the samples aren’t bad by any means, in fact, they sound pretty darn nice. But you are going to have to cycle through them to find the ones you like. But if you’re like me, you’re obsessed with finding the right shades and blends to add to your tracks, so that’s not a problem. For others looking for quick results, this may be a pain. This next dubstep kit, provided by Producers Choice, is a collection of individual samples, hits, and FX. While they use a heavy dose of enticing descriptions like speaker destroying, stinging, piercing for their samples, the truth is they’re fairly standard. However, the big positive of this pack is the hits and FX samples. A lot of modulation, bitcrushing, and pan effects make them interesting and perfect for cutting through mixes. Sure, the drums are usable, but the hits and FX are what make this pack appealing. 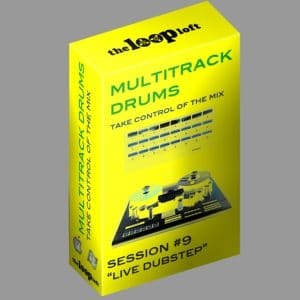 Moving on to the last dubstep drum kit, The Loop Loft is bringing something different to the table. Don’t come into this looking for your average samples, because you’re going to be disappointed. If you’re looking for tracks with plenty of groove and customization options, Live Dubstep has you covered (who would’ve guessed). Infusing rock and metal rhythms, this pack will give you a half-time dubstep feel, while retaining live sounds. Each track is separate, so you can EQ, compress, or add effects to your liking. Add a delay on a snare or gate the kick for your own flair, without worrying about affecting the other elements of the loop. The live samples sound great, and you can even use them for a variety of genres. Definitely the most unique of the list, but also requires an intended use as well. Okay, so you probably skimmed through all of that, and you want to know the run down. Fine, here it is. For crushed and dirty drums: Go Zenhiser. Either of the packs I talked about will provide that filth you’re looking for. 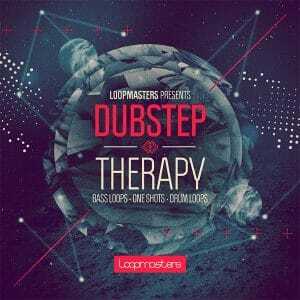 For full kits and versatility: Dubstep Therapy by Loopmasters. With loops, hits, and patches as well, you can pick and choose to your liking. For a unique flair: Dubstep Drum Samples Vault or Live Dubstep. The first one for cool effects and hits, and the latter for a fresh, live kit feel. And if you’re bored with nothing better to do: go through Freaky Loops Dubstep Snares.